In 1918, German engineer Arthur Scherbius applied for a patent for a machine that coded and decoded secret messages quickly and easily. Scherbius’s Enigma shifted letters similarly to a Caesar cipher, but Enigma constantly changed the order in which the letters were shifted. Such pattern changes mask the nature of the cipher by appearing random. 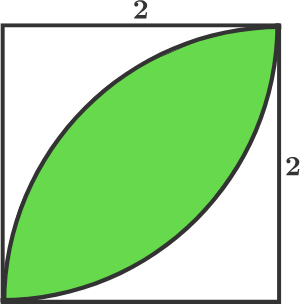 Without knowledge of the algorithms generating the cipher patterns, code breaking methods require enormous amounts of computation. With around possible configurations, the Enigma seemed a cryptographically safe bet. The Enigma worked quickly and accurately. While the Enigma had only modest commercial success, it became widely adopted by the German military. From the mid- until the end of World War II, Germany and its allies encrypted and decrypted important communications using various versions of the Enigma. During World War II, many of the world’s best problem solvers considered cracking Enigma to be an insurmountable task. British mathematician Alan Turing viewed it as a challenge. Until the war, Turing lived in obscurity, working out the connections between logic and computing–work that laid the foundation for the design of modern computers. War provided Turing with a chance to prove the practical value of his work. Using an understanding of cryptography, Turing went to work conquering Enigma. Polish experts who had built Enigma replicas furnished British intelligence with enough information to give Turing a much-needed starting point. But even armed with knowledge of Enigma’s design, Turing and other cryptographers required information about the way Enigma machines were configured. A few clues were needed to cut down on the enormity of the task of checking Enigma’s possible arrangements. British and Polish forces helped obtain those clues by capturing a few Enigma machines and in some cases observed the ways in which they were used. Part of Turing’s brilliance was his ability to apply logic to machines. Turing designed an electromechanical device (based partially on a machine designed by Polish cryptographers) known as the bombe to help crack Enigma. With the number of possible configurations reduced, the bombe checked remaining possibilities until the right configuration was uncovered and Enigma’s messages deciphered. The German military’s confidence in the invulnerability of Enigma played right into the hands of Allied intelligence. British cryptographers deciphered messages relating to German troop deployment and training in Russia and elsewhere. The information was so valuable that some historians speculate that conquering Enigma shortened the war in Europe by two years. For his wartime services, Turing was awarded the Order of the British Empire. 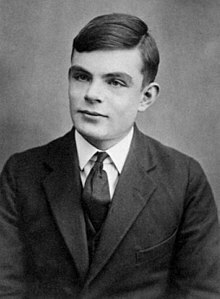 Turing is sometimes called the founder of modern computer science. Using an understanding of logic and practical engineering, Turing devised methods for data input and output, memory, and programming computers. His theoretical work brought him to the point of speculating that computers could be built that think for themselves. The themes of his work drive the study of artificial intelligence.